While this may seem obvious to some, many people overlook the financial obligations that come with having a pet. You’ll have to provide them with food every day, toys to entertain them, and a safe place for them to sleep, etc. You also have to consider regular vet visits, vaccines, hygiene and dental care; and depending on where you’re adopting your pet from, you may have to consider operations like neutering or spaying. Like humans, pets can also develop medical conditions. If they develop an illness or are injured, they may require treatment which can become quite costly in some cases. 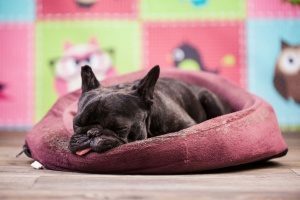 While these are things you can never truly plan for, you should consider your ability to cover these costs should illnesses occur at any stage of the pets life. Pets require a lot of your time, especially if you’re adopting them at a super young age. They need training, attention, love, exercise, etc. On top of that, they are also completely dependent on you for survival, so you need to make sure they are consistently fed, t have water, and that they are able to relieve themselves. Owning a pet is a full-time job and takes serious commitment. Although you must consider how much available time you have to devote to your pet, it doesn’t just have to be only “serious” time. Much of time spent with your pet will involve fun and play! Pets want loads love and attention which you should be sure to give openly and happily. Time spent with your pet should be a treat, not a chore. 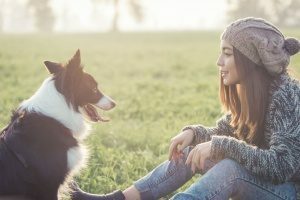 The time and attention you’re willing to give your pet can play a role in what breed you choose, as some breeds are more independent, while others need more attention. The amount of room you have in your living space should play a huge role in deciding what pet and breed to adopt. Some pets don’t need a lot of space and are more suitable for smaller homes and apartments, while other pets need large spaces and lots of room outside to run around and play. You want your pet to be as happy as possible, so make sure they can thrive in the environment you’re providing. Pets also require their own space too. They may need accommodations like a crate or bed, and they need room to move and live. If you’re considering adopting a cat, you need to consider the space you have available for a litter box. Your home will be their home, so you should make sure it’s comfortable and suitable for them. You should also consider how your family members will play a role in the adoption of a pet. There are many questions to consider when taking into account your family’s potential effects on a pet. Do you have young children? Will they be able to respect and care for the pet? Will the pet be kid friendly? Does anyone in your family have allergies? If you want to ensure that your pet will be a wonderful addition to your family, you must make sure that your family members are also able to do their best to provide a happy home for your pet. Where you plan to adopt your pet from is extremely important. Are you going to adopt from a local breeder? From a shelter? Your choice of a breeder or shelter will affect the age of the pet you’re looking to adopt, how much training they will require, and how well they will adapt to your home. You should also consider your ability to train your pet, as a pet from a shelter may already have some previous training. Above all else, your overall commitment to your pet is the determining factor in your decision to adopt one. Can you fully commit your time, finances, and home space? Is your day-to-day life steady enough to accommodate a pet? Contemplate your work schedule. Will you be gone for long periods of time? Do you travel a lot? How will your pet fare during these times of your absence? Even if you work long hours don’t let a hectic work schedule deter you from adopting a pet, there is an easy solution; hire a professional dog walking service. They provide only the best, personalized care for your dog both in your home and on walks. 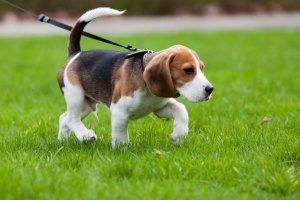 When they come over for a walk, your dog will receive plenty of exercise, attention, and care that you may be unable to provide every day with your busy schedule. If you’re traveling an even better solution is hiring a professional pet sitting service. With these services, there are many different options to choose from, so that you can find the one that works best for you and your pet. Your pet can stay home and receive care from a sitter during the day (they will even water your plants and bring in your mail if you want! ), or you could even allow your pet-sitter to welcome your pet into their home to receive in more love and attention. Adopting a pet can be one of the best decisions you ever make in your life, and with these things you should know before adopting a pet, the process will be made easier. Just remember to plan ahead to make sure your pet will receive the most love and happiness “humanly possible”!